Asian mobile giant SingTel — which runs an operator of the same name in Singapore — has confirmed that it is moving into the mobile advertising space with the purchase of US-headquartered firm Amobee for $321 million (SG$400 million), according to Dow Jones via the Wall Street Journal. The company has said that the move, which it anticipates will be completed before June, will allow it to offers mobile advertising technology and services, although it will retain Amobee’s existing company management. The mobile advertising market is nascent and has significant potential for mobile operators, who are able to provide differentiated solutions across smartphones and feature phones, giving brands a better return on their marketing spend. We want to capture that growth in developed and emerging markets, starting with this acquisition. SingTel is active across Asia, as well as in its native Singapore, and the group owns and operates Australian carrier Optus, which it bought for $15 billion in 2001. It also has stakes in a number of other mobile firms in the continent, including India’s Bharti Airtel, Indonesia’s Telkomsel, Thailand’s AIS, Pakistan’s Warid, Philippines’ Globe and Citycell in Bangladesh, which see it reach more than 400 million customers. The group also has ventures outside of the mobile space and it will be hoping that the acquisition of Amobee, which won the GSMA’s Mobile Marketing & Advertising Agency of the Year award at Mobile World Congress last week, can address a slump in profits. 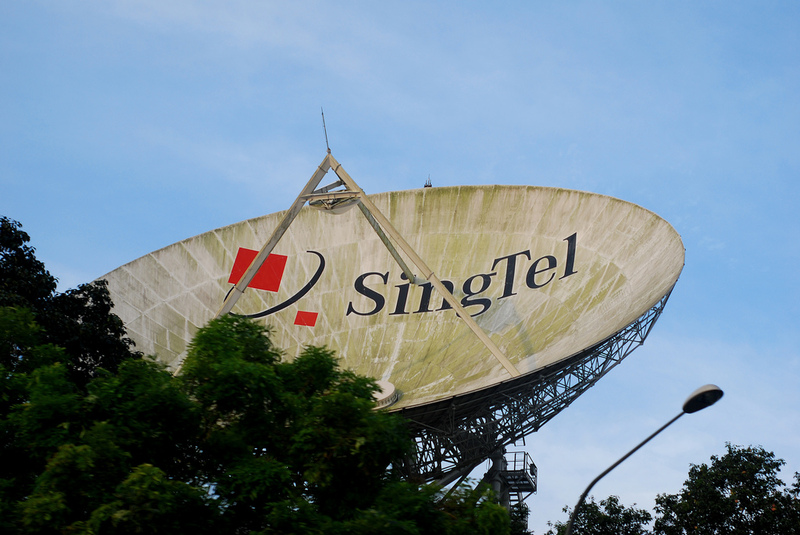 According to Dow Jones, Singtel’s most recent quarterly profits, announced last month, saw net profit drop to 9.6 percent as pre-tax profit from its mobile business decreased by 7.9 percent. SingTel itself has also announced that it is reorganising its owns management structure to focus on business segments, which will operate under three main pillars: Group Consumer, Group Digital Life and Group ICT. Amobee is headquartered in the US but it operates across the globe and it appointed it first business development director for Asia Pacific in October, a move that saw it focus on growing its presence in the region. In addition to mobile ads, Amobee service give its customers banner ads, and more targeted deals such as coupons schemes, loyalty rewards program and other tactical new media advertising strategies. News of the SingTel-Amobee deal comes just a week after mobile ad specialist Komli snapped up Southeast Asia’s largest advertising network, Admax, for an undisclosed sum.